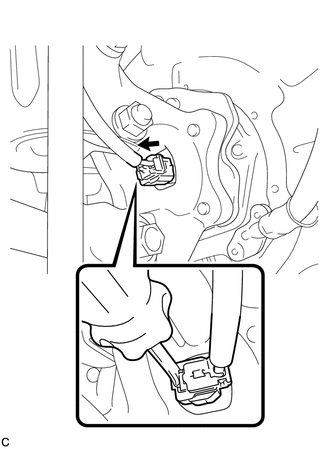 (a) Using a screwdriver, disconnect the connector from the rear speed sensor. Be careful not to damage the rear speed sensor. (a) Remove the rear axle hub and bearing assembly (See page ).